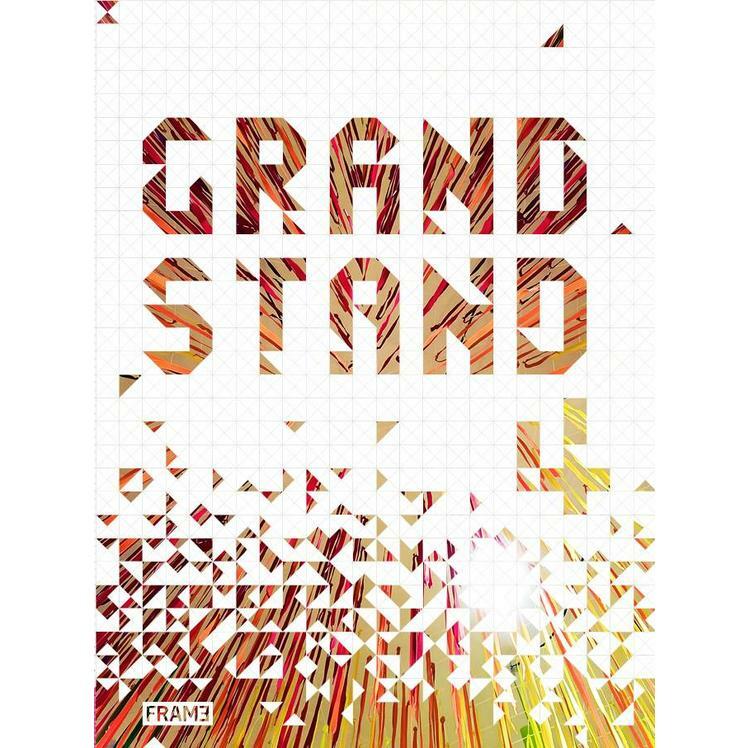 This sought-after book series presents developments in the ever-changing world of stand design. 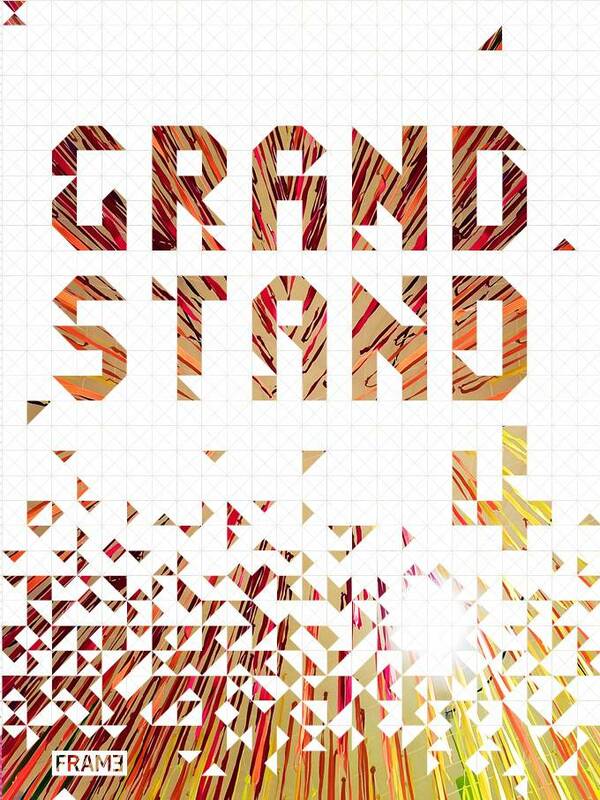 Grand Stand 4 is a visual feast of tempting temporary spaces from across the globe. 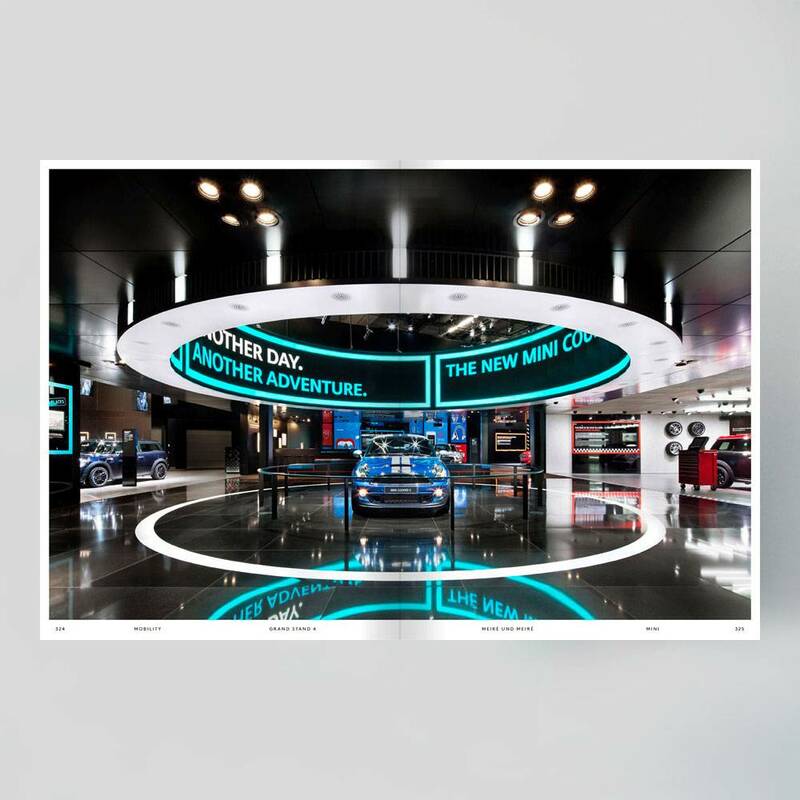 Readers are invited to discover how ateliers and studios respond to the task of integrating brand identity into commercial presentations. The creative process is outlined, including how to deal with challenges such as restrictions of space and limitations of lighting. The outcome is the realisation of transient yet thrilling settings that are as eye-catching and inspiring as they are surprising and alluring. 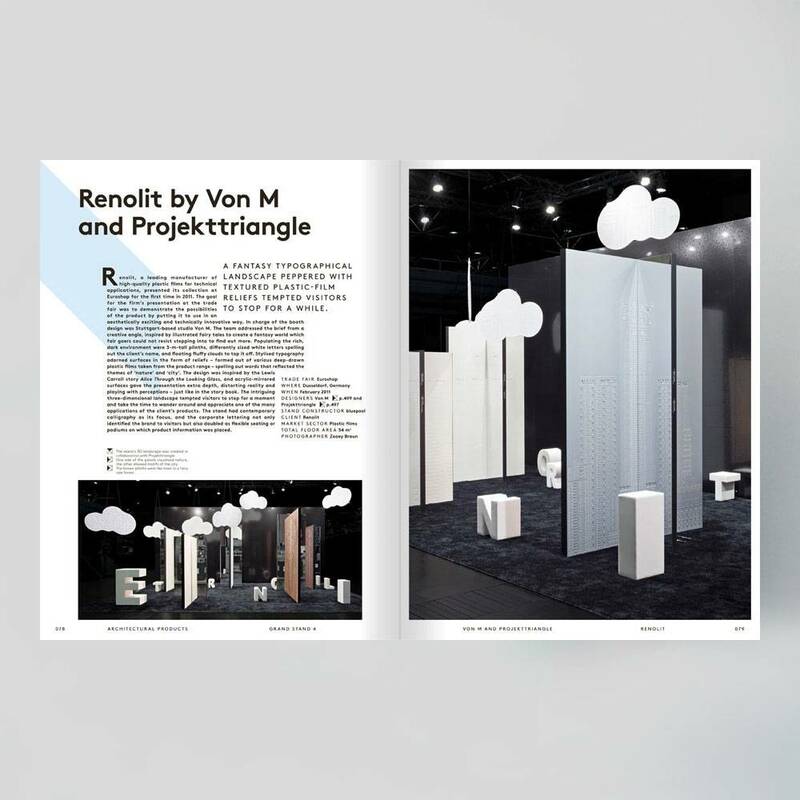 The book delves into the design of 133 trade fair environments that have caught the attention of visitors at commercial events around the world within the last 3 years. All have captured the essence of a brand’s story, presented in a snapshot of time. Ranging from small booths occupying cosy corners to those spanning supersized spaces, the selected stands include those by Arting, D’art Design Studio, Doshi Levien, Liganova, Scholten & Baijings and Stefan Zwicky, with presented brands such as Audi, Ericsson, H&M, Gaggenau, Levi’s, Mercedes-Benz, Swatch, and many more. 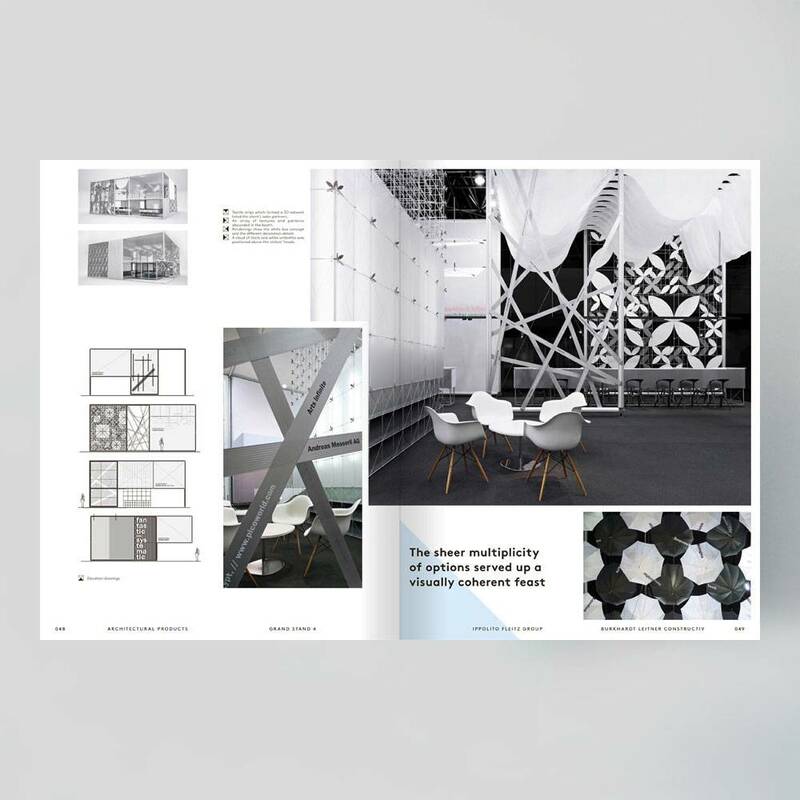 Divided into nine chapters over 504 pages, the book is packed with projects covering a range of styles: apparel collections showcased in urban cities, futuristic lighting cathedrals, and mobility presentations tinged with a touch of sci-fi. Each article outlines how the concept was developed and executed. 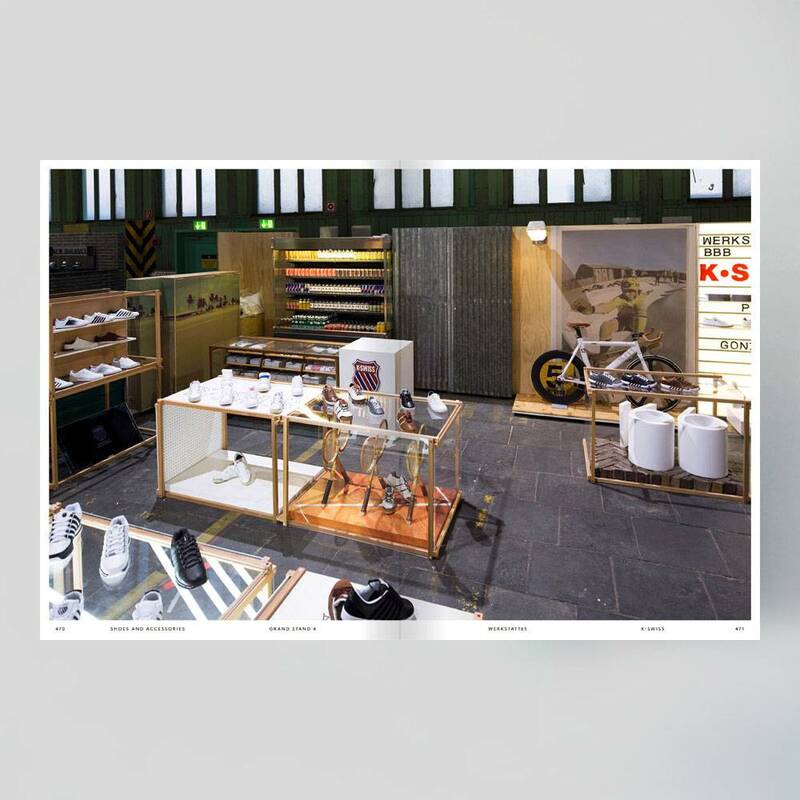 Providing a real insight into the design process, many projects are illustrated with materials such as sketches and floor plans interspersed alongside stunning photography. 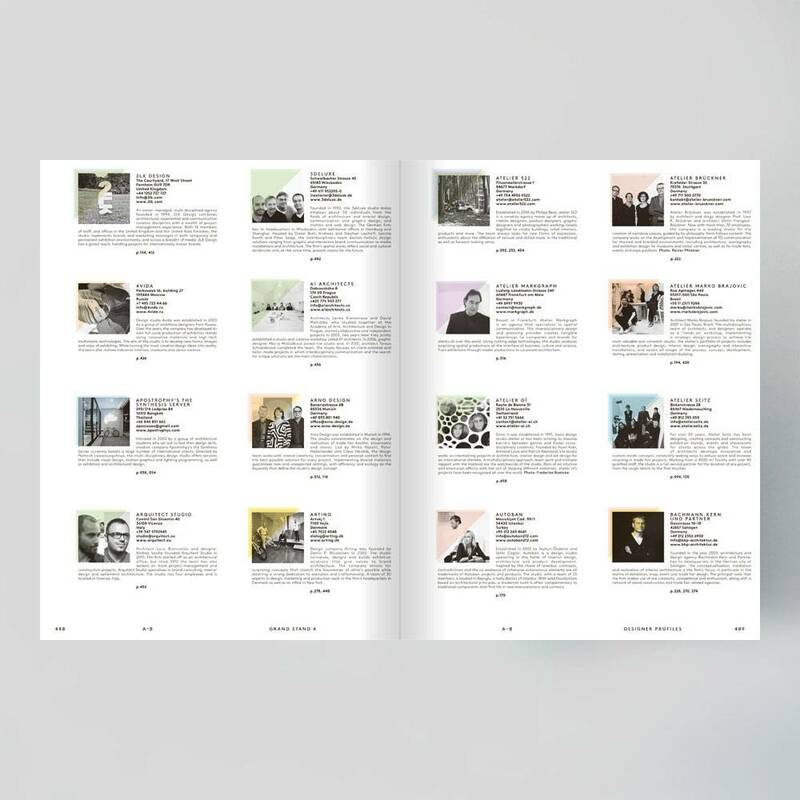 Completing the book is an index of designer profiles of the featured studios and brand agencies, as well as a listing of the 85 featured trade fairs. 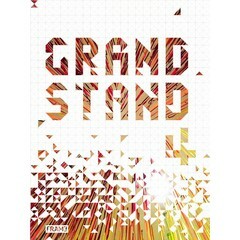 Successor of the highly successful books Grand Stand 1 (sold out), Grand Stand 2 and Grand Stand 3. 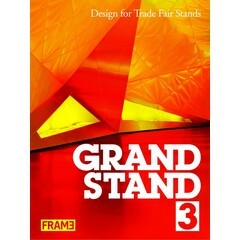 More than 500-page reference book filled with 133 recent and extraordinary trade fair stand designs. Silkscreen-printed hardcover, with luxurious linen spine and fold-out A3 poster wrapped around. 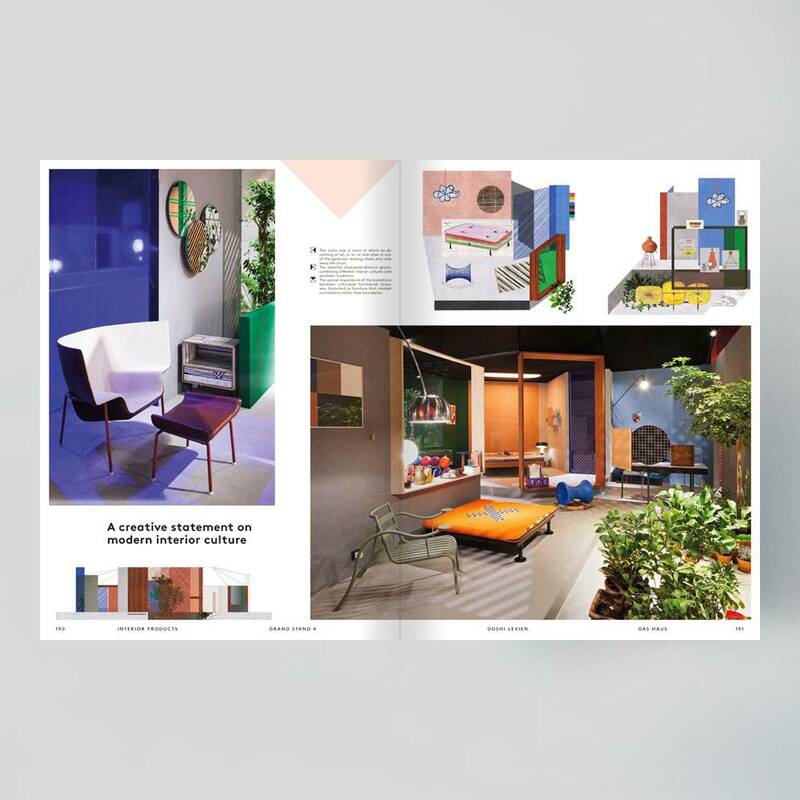 Categorised by chapter: apparel; architectural products; consumer products; electronics; interior products; lighting; mobility; services; and shoes and accessories. 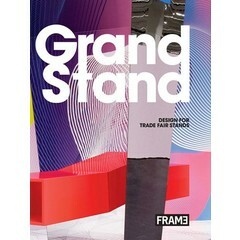 Easy to navigate; indexed by name of designer and by trade fair, including contact details. 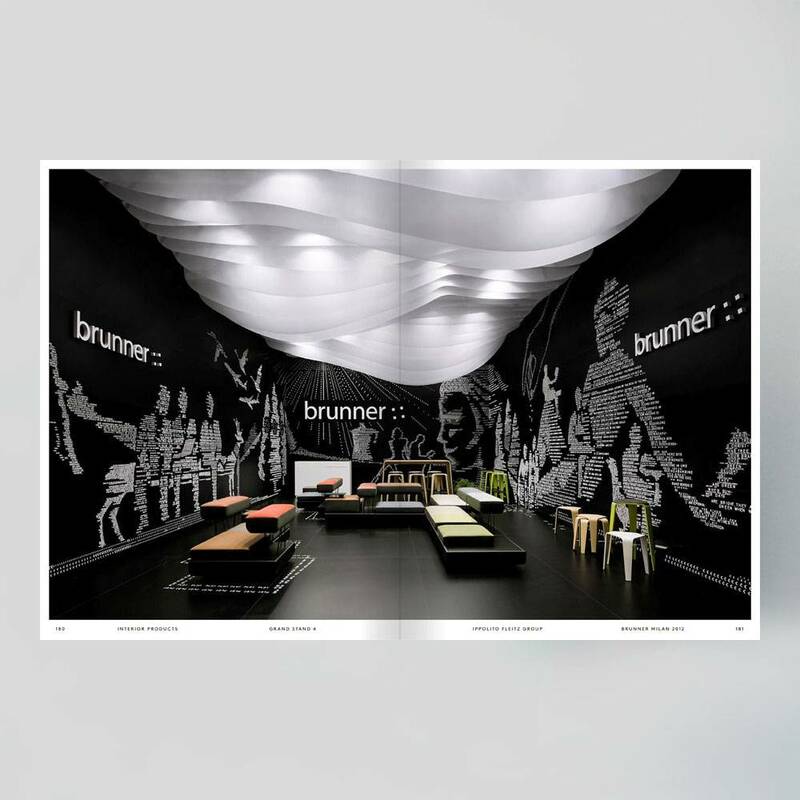 Featured projects are accompanied by descriptive text, project credits, floor plans, design sketches, detail drawings, renderings and stunning photography.